Countless childrenâs lives have been saved by child resistant closures that are now much easier for adults to open than ever before, yet are still in compliance with 16CFR 1700.15 (b) and 1700.20. 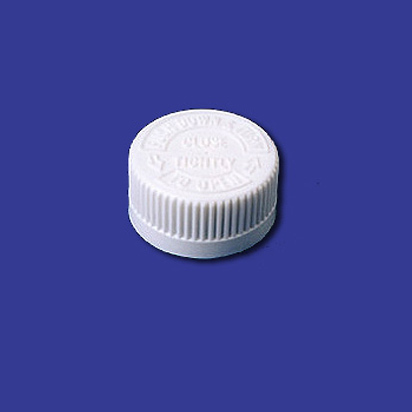 Child resistant safety caps can be supplied to you as unlined or lined with either an F-217 liner, PE Foam liner, Pressure Sensitive (PS22 plain or printed) liner, or a Heat Seal (HS035 plain or printed) liner. Child resistant safety caps come in various finishes to fit a wide variety of bottles and jars. By the case or by the truckload, you get the right packaging at the right price at Drug & Cosmetic Packaging.